All About Tennis is now offering USTA members an opportunity to join the TEAM. This unique and innovative rewards program will bring tennis players several special benefits at All About Tennis. Every time you make a purchase you will receive a 10% discount! Plus, TEAM members will receive exclusive offers to purchase the newest equipment and accessories. Special offers on Racquets, Apparel and Shoes will become exclusively available to TEAM members. This TEAM membership is normally $40 per year but when you show your USTA membership card you will receive it absolutely FREE! All About Tennis has everything for the tennis enthusiast and carries the largest selection of tennis equipment, apparel, and shoes for all ages. The knowledgeable staff at All About Tennis can assist you with any tennis questions and offers the best prices in the area! 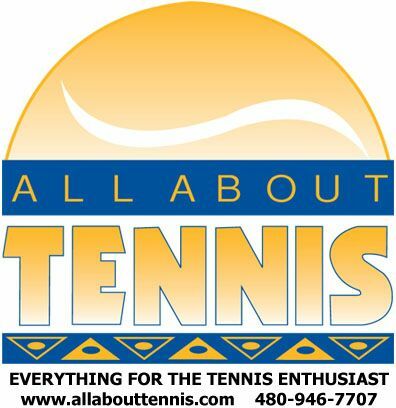 All About Tennis has locations in Scottsdale and Mesa. Click here for directions, hours and contact information.